Not many books can depict the beauty of the various aspects of different relationships in an interesting and engaging manner. 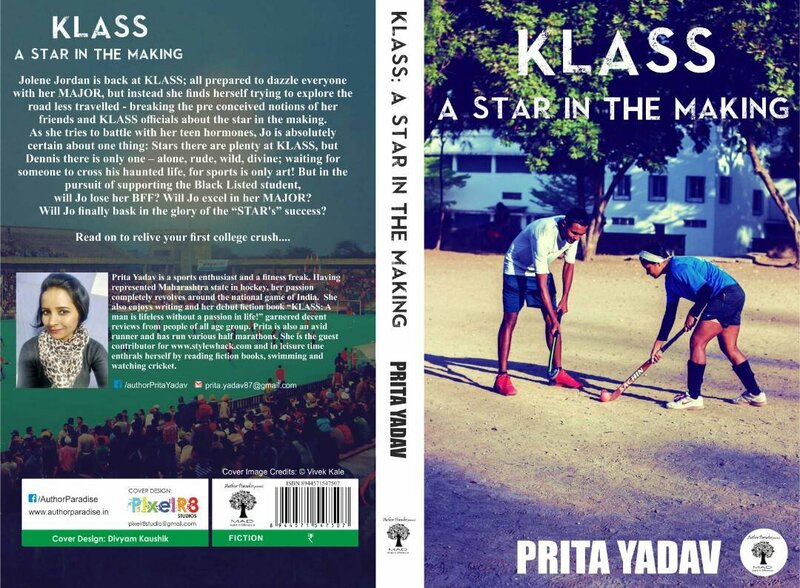 However, Prita Yadav has managed to do so through her second book in the form of Klass A Star In Making. The cover page is intriguing enough to make the readers look up and take notice. As I started reading this wonderful tale of multiple emotions woven intricately into a backdrop of academics and intellect, I could not help feeling proud about the passion and skill of Prita as a writer. Jolene Jordan is back at Klass and intends to impress everyone with her major. But things don’t go as planned as Jo finds herself travelling the unconventional road and breaking the pre-conceived ideas of her friends and KLASS officials. As she battles with her uncontrollable teenage hormones, she becomes aware of the fact that amongst the numerous stars in making at Klass, Dennis stands way apart. He is alone yet rude, aggressive yet divine and is eagerly waiting for someone who can challenge to cross his life which is absolutely a haunted one. What are the emotional and academic repercussions that Jo is likely to face for supporting this black listed student? What a hooking story and that with a genre (sports) which is less explored by experienced authors. The thing that I found most amazing about the book is that it is extremely well written, which makes it an enjoyable read. The story is fast paced and gripping and boasts of a unique plot with each scene penned beautifully and placed appropriately. The various characters are well developed and justified as per the demands of the storyline. The fact that Prita has written the book in a simple and easy to comprehend language, further enhances its entertainment value. That narration is quite impressive and kept me hooked till the very end. Overall I found KLASS A Star In Making to be a great reading experience and am eagerly waiting to read the promised third book in the series.